Give your group a lake adventure to remember! Rent boats and other watersports equipment from Pine Crest Marina on Lake Wallenpaupack! Make memories with friends and family on a pontoon or deck boat. Go tubing, skiing, sunbathing or whatever floats your boat! Hourly, half day, daily and multi-day boat rentals are available. 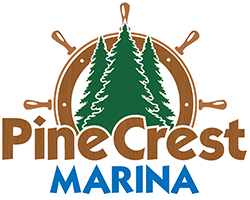 Pine Crest Marina also offers seasonal boat slip rentals as well as boat and dock sales. Date of Availability: Open May - October from 9:00 am to 6:00 pm (weather permitting).